When you have an older property you often think the only option is to keep the traditional look throughout. But this is not always the case. 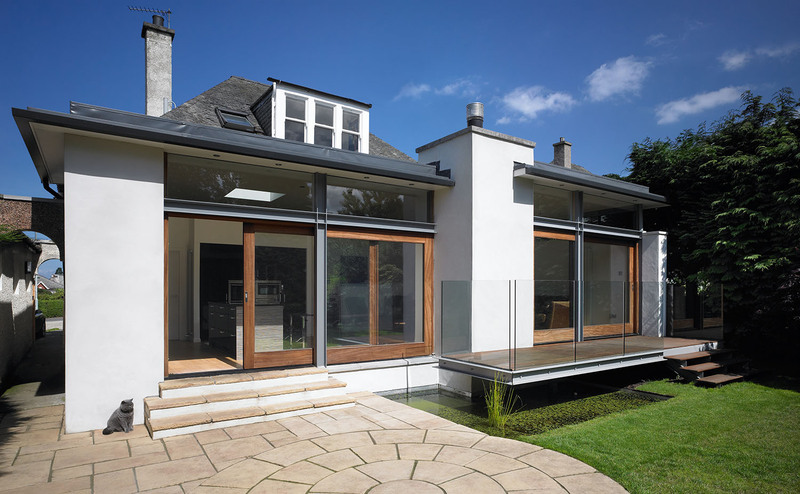 In a 1930s bungalow in Edinburgh we introduced a stunning contemporary kitchen at the rear of the property giving the owners an open plan, free flowing kitchen that combines cooking, entertaining, work and play all in one room. As the interior was now filled with light, we were able to go with bold finishes and accessories that fulfilled the Rae’s desire for an eye-catching minimalist kitchen. Light was critical with this design and roof lighting was installed. 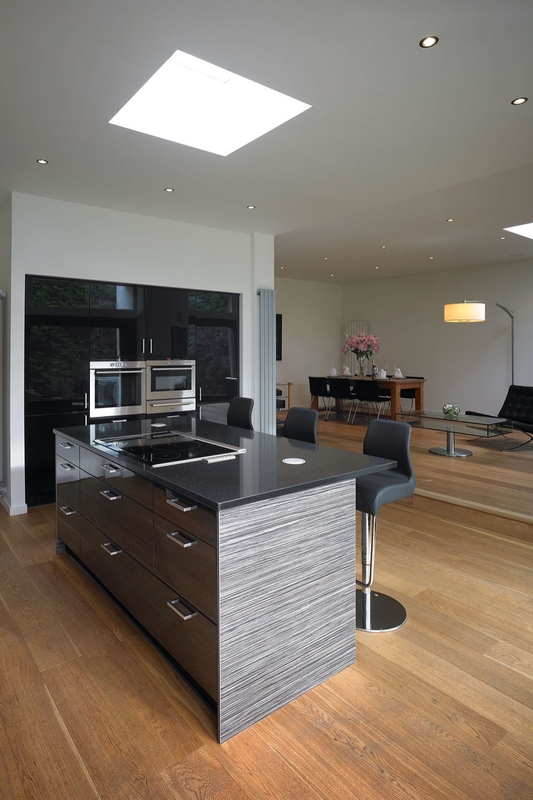 This new open-plan kitchen was to become the hub of the home and an essential place to relax and unwind. In terms of style, sleek was the look the Rae’s wanted. Our designer Kevin Buchanan spent many hours talking through the options and suggested a kitchen design that was not only eye-catching but also very ergonomic to fit in with the Rae’s lifestyle. 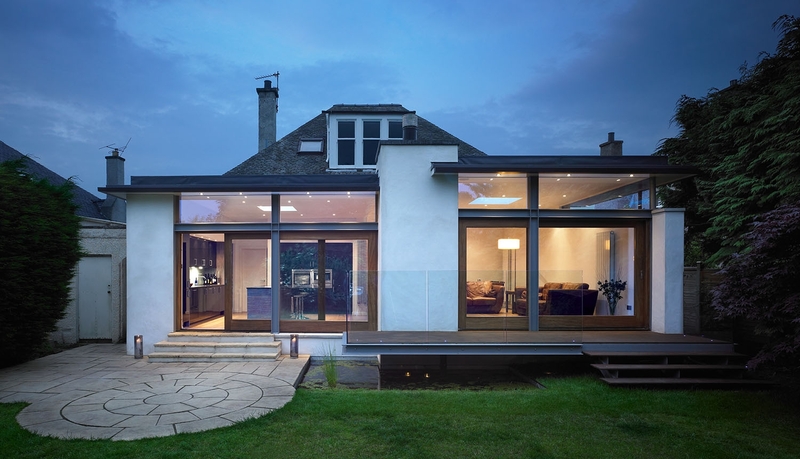 The extension, into which the kitchen was the major part, was designed by Crichton Woods Architects, whose idea was to open up the interior to the large garden and to extend the house by 3.5m in the space where a glazed conservatory used to stand. This gave the house light and space. 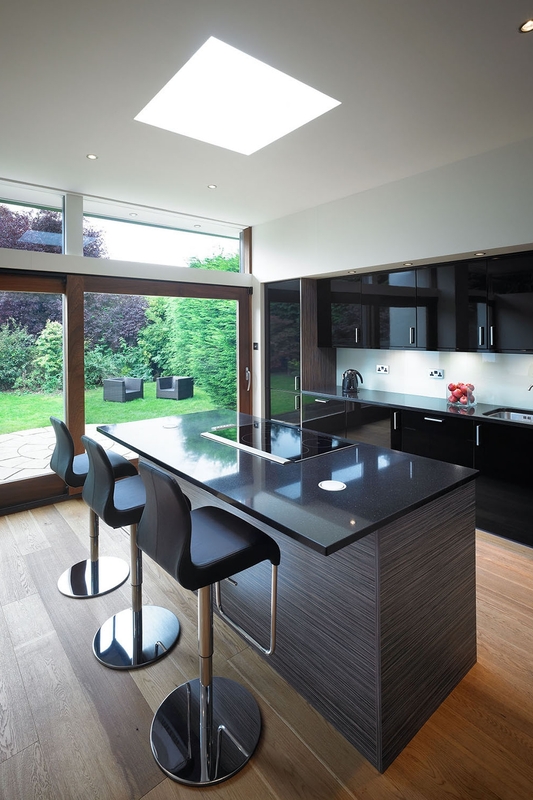 To ensure the sleek look we teamed Callerton Manhattan Black Gloss units on the outside walls with smooth black Zodiac Vortex worktops, which are non-porous and easy to clean. For the island unit that features ample storage space, a Zebrano finish was chosen to add more interest, which was echoed in the tall unit that houses the wine cooler. The choice of such materials was to allow it to blend well with the glass doors and walls and the simple natural wooden floor. We worked closely with the architect in terms of siting appliances and the units to ensure they flowed with the rest of the room. 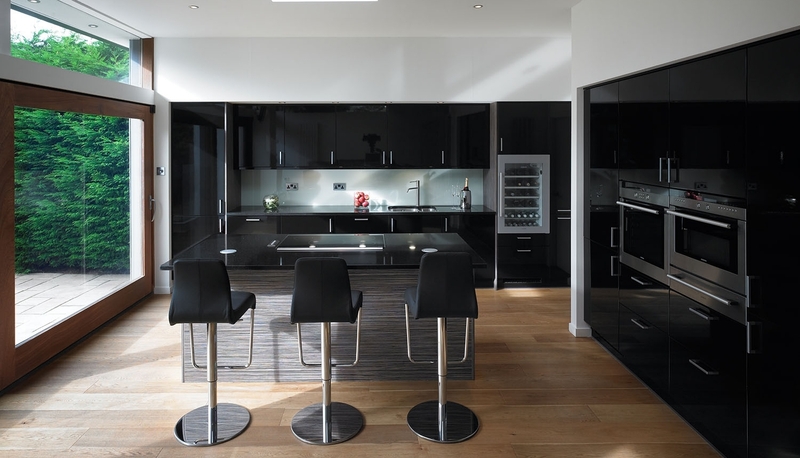 A bank of Miele and Siemens appliances are sited on one wall and blend effortlessly with the black gloss units. In such a contemporary space the Rae’s chose state-of-the-art appliances including an integrated wine cooler, pyrolytic oven, a combination microwave and downdraft extractor on the island. The Raes love the finished product. 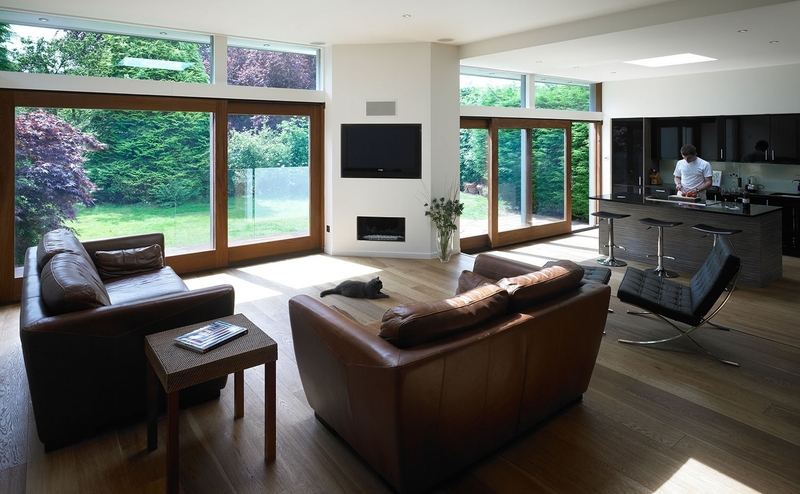 As well as offering a bright and relaxing haven in the daytime, come night time it looks spectacular from the inside and outside and is a great space for entertaining.